Ireland’s income tax, the biggest heading, rose by 7% to €5.4 billion in four months of this year and up to April 2014. The State’s public finances are continuing to improve with the latest official figures showing tax revenue ahead of projections for the first four months of the year, while spending is lower than forecast. The Irish exchequer returns published today show tax revenue of €11.5 billion, which is €612 million, or 5.6%, up on last year, and €222 million or 2% higher than forecast. Income tax, which is the biggest tax heading, generated €5.4 billion, is €362 million or 7.2% up on last year, and €106 million or 2% ahead of profile for this year. The department of Finance officials said higher income tax receipts reflected improved conditions in the labour market, which has seen unemployment fall from its 2012-peak of 15.1% to 11.7% this year. On the downside, the long-anticipated recovery in consumer spending appears not to have materialised as evidenced by a worse-than-expected VAT intake. The sales tax generated €3.65 billion for Government coffers, which was €177 million or 5.1% up on last year but crucially €51 million or 1.4% lower than forecast. Excise was €1.5 billion, which was 6.2% up on the year and €82 million or 5.8% ahead of projections. The better-than-expected excise receipts were to a rise in new car sales. 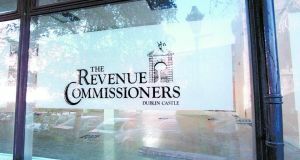 The department also revealed that approximately €120 million of income tax taken in during February and March was wrongly classified as VAT, falsely inflating the performance of the retail sector. 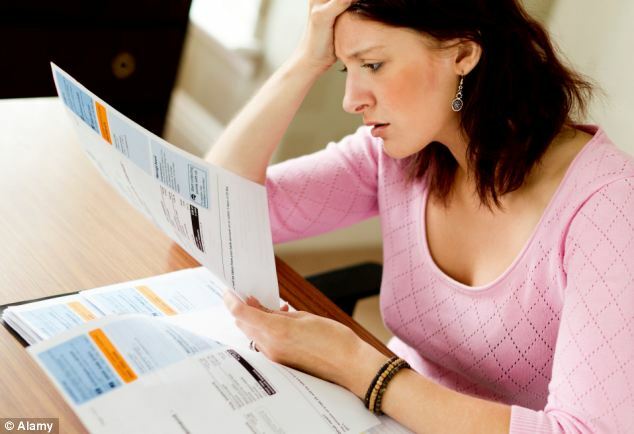 Last month, the department said only €101 million had been mistakenly submitted as VAT and only during March. The department said the Central Bank and the Revenue Commissioners had investigated the issue, and had put in place processes “to mitigate the possibility of this happening again”. It also emphasised that the overall tax collection for the period had been unaffected by the errors. On the spending side, the April figures show total net voted expenditure of €13.65 billion, which is €315 million, or 2.3%, down on the same period last year, and €167 million less than forecast. According to the department, the main drivers behind this improvement were reduced guarantee pay-outs, increased tax revenues and a reduction in net voted expenditure. On the basis of these figures, the Government is comfortably on track to hit its troika-agreed deficit target for the year of 4.8% of gross domestic product. The cost of serving the national debt to the exchequer was €3.7 billion so far this year, a decrease of €256 million or 6.5% on last year. Middle and low-income families have been promised tax cuts by Finance Minister Michael Noonan in his strongest comments yet ahead of October’s Budget. Mr Noonan, speaking at a Fine Gaelevent in Dublin yesterday, said the current level of income tax, particularly for lower-paid workers, was a major inhibition and barrier to people getting jobs. Mr Noonan signalled clearly that he intends raising the bands to increase the level at which people begin to pay the higher rate of tax. “The greatest inhibition in the income tax code is that on an income of €32,800 people go on the higher rate of income tax,” he said. While he has suggested tax cuts previously, Mr Noonan’s comments represent the most tangible signal of his intentions for the Budget. Despite having to introduce spending cuts and tax increases totalling €2bn, Mr Noonan said his priority now is to look closely at the income tax codes. As the tax take begins to flow more strongly into the Exchequer, the Finance Minister said he wanted to make sure that current income tax codes do not prevent job creation. He also said he wants to address those barriers which are preventing people from taking up jobs and preventing our young people from coming back home. “So it is a priority of the Government to address that, and to lift that figure . . . whatever resources we have available over the next two Budgets we will do that,” he said. Meanwhile the Government’s tax receipts for April are 9pc higher than they were a year ago. The Finance Minister says he saw a preview of the figures last night. He says the income tax take is about 6.5pc higher than 12 months ago. 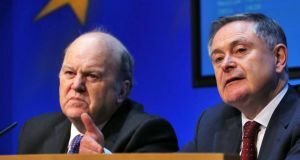 Mr Noonan also pointed to his record of adjusting taxes to create jobs since taking office in 2011, despite the pressures on the public finances. 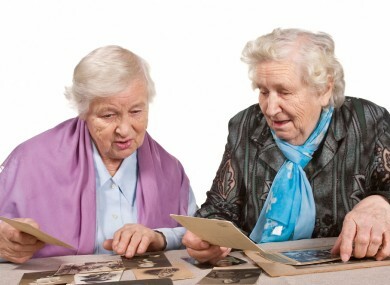 “Over the three years, even when we didn’t have any money, we changed the tax codes so we made it more jobs friendly. “We cut the VAT rate on the tourist industry from 13.5pc to 9pc. That created an awful lot of jobs in the tourism industry,” he said. His comments however come in the wake of an Irish Independent/Millward Brown opinion poll on Monday in which voters signalled they would prefer an end to austerity rather than tax cuts. Last week, a number of trade unions called for pay hikes amid signs of economic recovery. The Civil, Public and Services Union, representing lower-paid civil servants, called for restoration of pay lost under the last two cost-cutting deals with the Government. SIPTU and IMPACT indicated they will seek pay raises if the government finances improve during the Haddington Road deal. David Begg, leader of the Irish Congress of Trade Unions, has backed calls for post-troika wage rises. Companies who could afford it should pay up, he said. Two Irish universities and Dublin Institute of Technology (DIT) have been listed among the top 100 of the world’s universities under 50 years of age. NUI Maynooth (NUIM) and Dublin City University (DCU) are rated 67th and joint 92nd, respectively, in the prestigious Times Higher Education (THE) 100 Under 50 2014 league table. 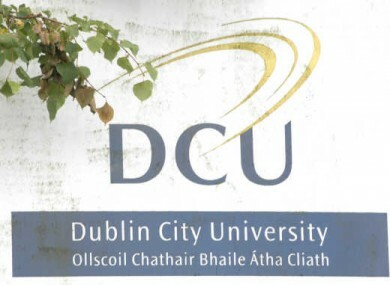 It also looks beyond colleges with ‘university’ in their title and, this year, DIT has made its way into 94th place – its first appearance in the table which is now in its third year. The 100 Under 50 uses the same list of 13 performance indicators that underpin the annual THE World University Rankings, but adapts the methodology to better capture the characteristics of young institutions. The criteria used includes research income, reputation for teaching, numbers of PhDs awarded, the number and quality of scholarly papers, and citations from staff. The Top 100 Under 50 aims to highlight a new breed of high-performing universities that have managed to join the world elite over decades rather than centuries. It marks them out as having the potential to become the next global academic powerhouses. Recent funding cuts have made it increasingly difficult for Irish universities to achieve or retain a place in the top 100 of the main global rankings. But in the smaller, younger pool, they fare better. Similar to the main rankings, the continuing march of well-funded colleges in East Asia is evident at the top of the 100 Under 50 with South Korea’s Pohang University of Science and Technology (Postech) topping the list for the third year in a row. Its national rival, the Korea Advanced Institute of Science and Technology (KAIST), holds on to the third spot, while the Hong Kong University of Science and Technology stays in fourth, and Singapore’s Nanyang Technological University moves up to fifth from eighth. US military researchers have revealed that in the next few months, they will unveil new advances toward developing a brain implant that could one day restore a wounded soldier’s memory. 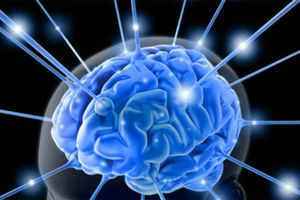 The Defense Advanced Research Projects Agency (DARPA) is forging ahead with a four-year plan to build a sophisticated memory stimulator, as part of President Barack Obama’s 100 million-dollar initiative to better understand the human brain, Discovery News reported. Some say that those who could benefit include the five million Americans with Alzheimer’s disease and the nearly 300,000 US military men and women who have sustained traumatic brain injuries in Iraq and Afghanistan. DARPA program manager Justin Sanchez said this week at a conference in the US capital convened by the Center for Brain Health at the University of Texas, said that they think they could develop neuroprosthetic devices that can directly interface with the hippocampus, and can restore the first type of memories which are the declarative memories. Pancreatic cancer, one of the most deadly forms of the disease, can be stopped in its tracks by targeting an “Achilles’ heel” protein, say scientists. Blocking the molecule, called Yes-associated protein (Yap), did not prevent the disease but halted its growth. Researchers hope the experiments, conducted on laboratory cell lines and mice, will one day lead to an effective treatment. “We believe this is the true Achilles’ heel of pancreatic cancer, because knocking out Yap crushes this really aggressive cancer,” said US study leader Dr Chunling Yi, from Georgetown University Medical Centre. 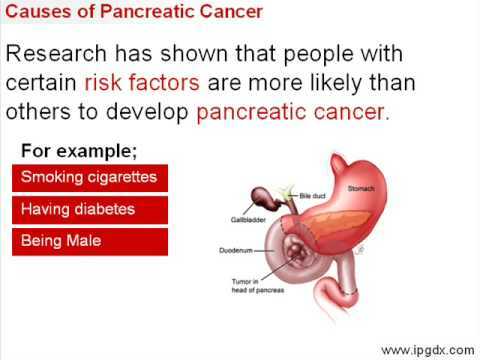 DEFECTS: Pancreatic cancer is often diagnosed late and has one of the worst cancer survival records. Yap is over-active in pancreatic cancer and other cancers, including those affecting the lungs, liver and stomach. The new study, reported in the journal Science Signalling, involved mice with pancreatic ductal adenocarcinoma (PDAC), which accounts for 95pc of human pancreatic cancers. Like humans with the disease, the mice have mutations in two key genes, KRAS and p53. It has proved very difficult to develop drugs that target either of these gene defects. But Dr Yi’s team discovered links between Yap and both KRAS and p53. KRAS activates Yap, and Yap shuts down p53 – an oncogene that offers protection from cancer when it is not faulty. According to a new research conducted by the scientists at Imperial College, North Sea ‘Atlantis’, a prehistoric low lying land mass that previously connected Britain to Mainland Europe, may have been hit by a 5m high tsunami about 8000 years ago. The research has been presented in Vienna at the European Geosciences Union General Assembly. According to geophysicists, Dr Hill and his colleagues, Alexandros Avdis, Gareth Collins, Stephan Kramer and Matthew Piggott, a devastating subsea landslide off the coast of Norway, called the Storegga slide, generated the tsunami which submerged the island of a low-lying Atlantis, Doggerland. It was, once, inhabited by Mesolithic tribe. Dr Jon Hill, a researcher from Imperial College who has published the team’s findings in the journal Ocean Modellingstated that the tsunami would have completely inundated the landmass and that any human living there would have suffered a catastrophic event. 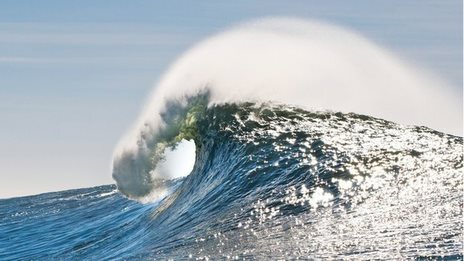 Scientists used computer modelling techniques to track the course of tsunami. He also informed that if one takes that sediment and lays it over Scotland, then, it would cover it to a depth of 8m.The tsunami appears to have put an end to any human activity in Doggerland or anywhere else in the region. The location of Doggerland was first discovered two years back by Scottish archaeologists. It was located in the area between modern day Northern Scotland and Denmark. At that point of time, sea levels were much lower as well as the region was a continuous landmass. North Sea fishermen had picked up ancient artifacts, human bones etc in their nets. It was, however, a matter of suspicion for a long time that some sort of settlement had been located in the area. As the glaciers of the “Ice Age” began to melt about 20,000 years ago, the sea levels gradually started to rise and, as such, the people began to shift elsewhere.